Here are a few pictures of my forces for doing battle in the far future... or... not-so-far future...? 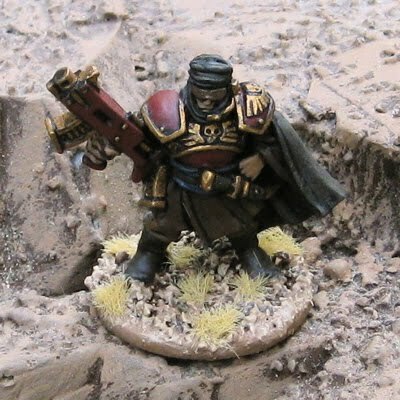 An Astorpath (again, Games Workshop) could be attached to any of the Imperial Guard Company Headquarters. 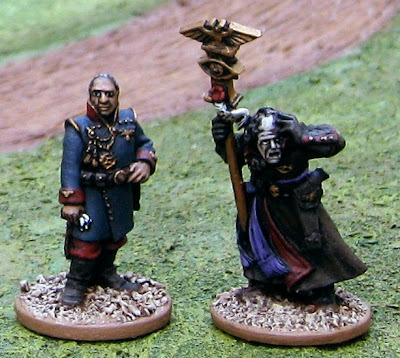 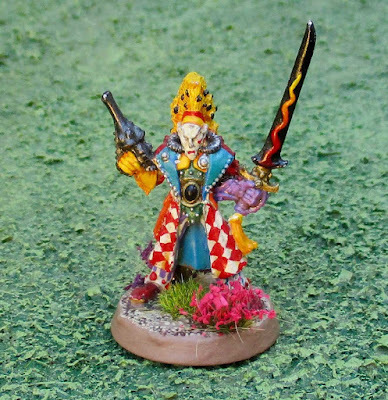 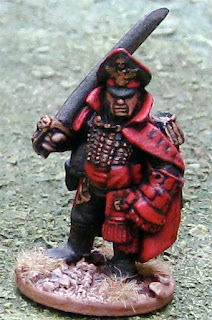 Imperial Naval Officer and a Sanctioned Psyker from Games Workshop. The Naval Officer, like the Astropath above, can be added to any Company Command Team as an "advisor". 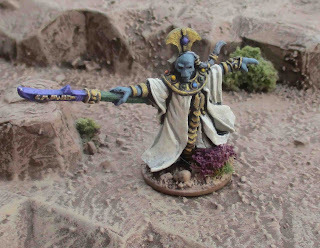 The Psyker should be part of a team of Psykers that would be an Elite Unit that could be attached to any force - I'd have to paint up a few more first. 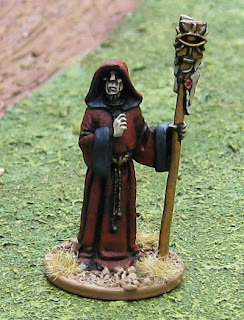 These are some monks from Black Tree Design that I tried converting (with some gen-u-ine GW guard bitz) to use as Ministorium Priests of the Ecclesiarchy. 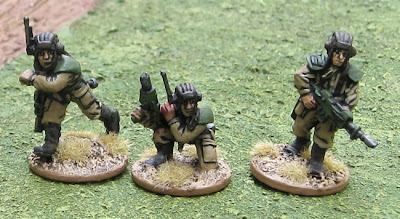 A squad of GW plastic Cadian Infantry I had at one point. 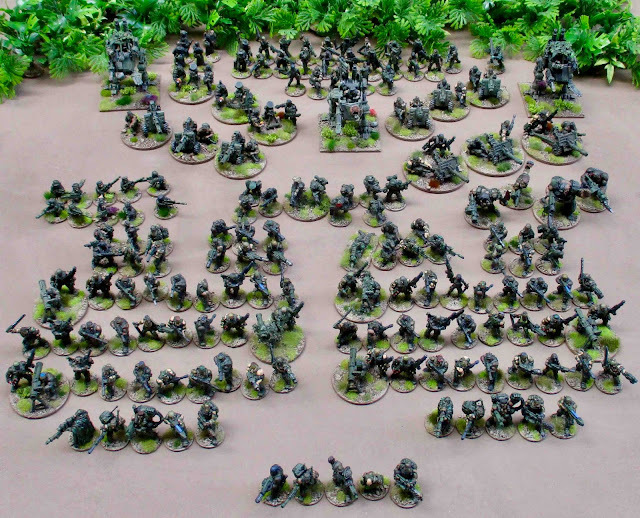 I accumulated an entire company's worth of these (three platoons of three squads each). I only ever painted one or two of the squads before I traded them away. 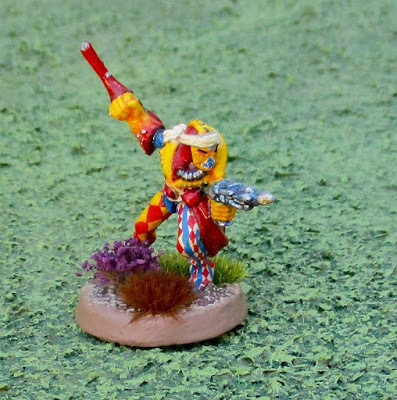 Attached Abhuman Squad of Ratling Snipers! 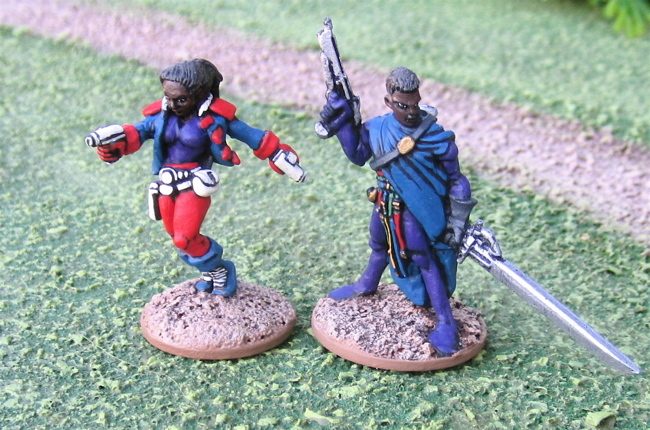 A pair of Citadel Miniatures/Games Workshop Rogue Trader era Eldar. 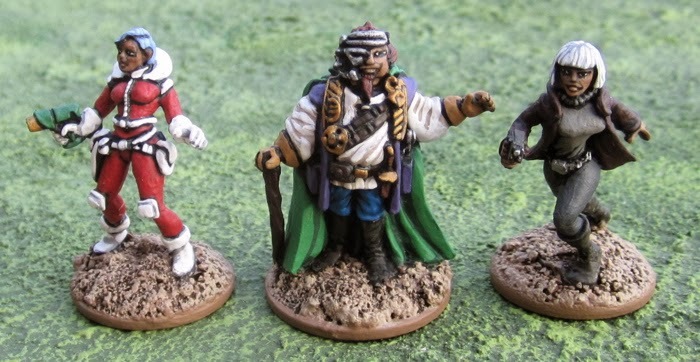 These are some of the oldest figures I have with their original paint jobs (most others from this era - and earlier - I have since stripped and repainted). Ideally it might be nice to add another troupe or two to the force and bring it up to a Battalion Detatchment and 1000 points... but that isn't going to happen any time soon. 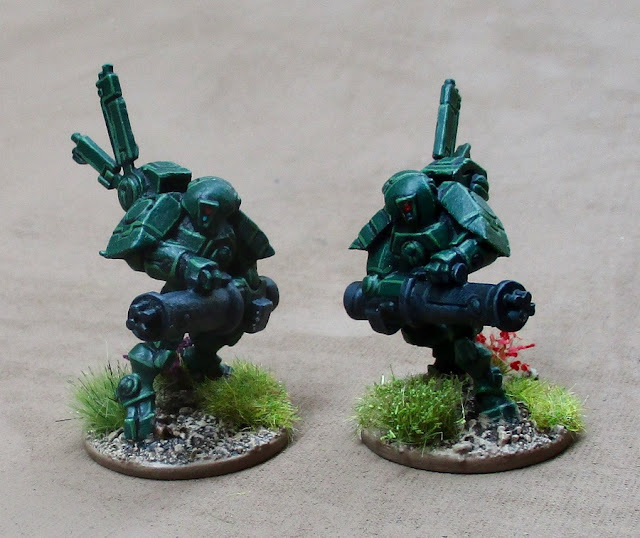 How would I paint them? 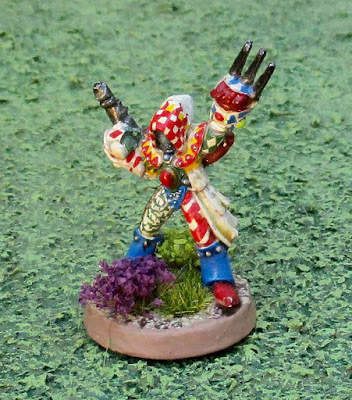 Try to match this old paint job? 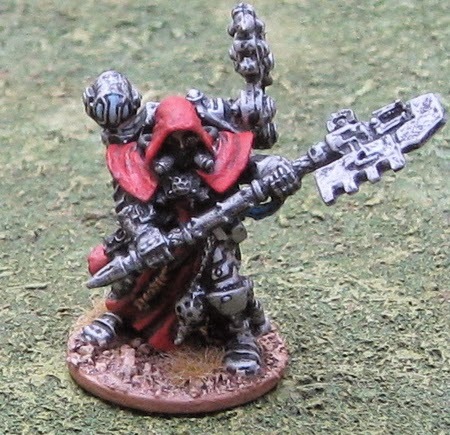 Paint them with my currently black undercoat method? 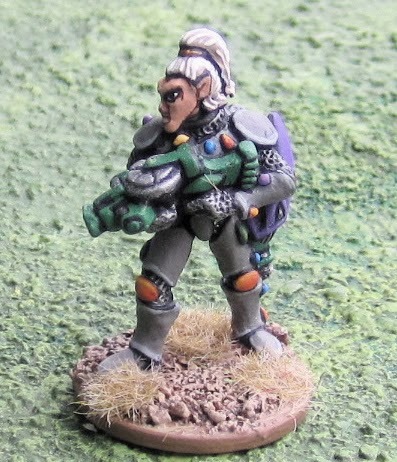 I have a very small force of T'au. 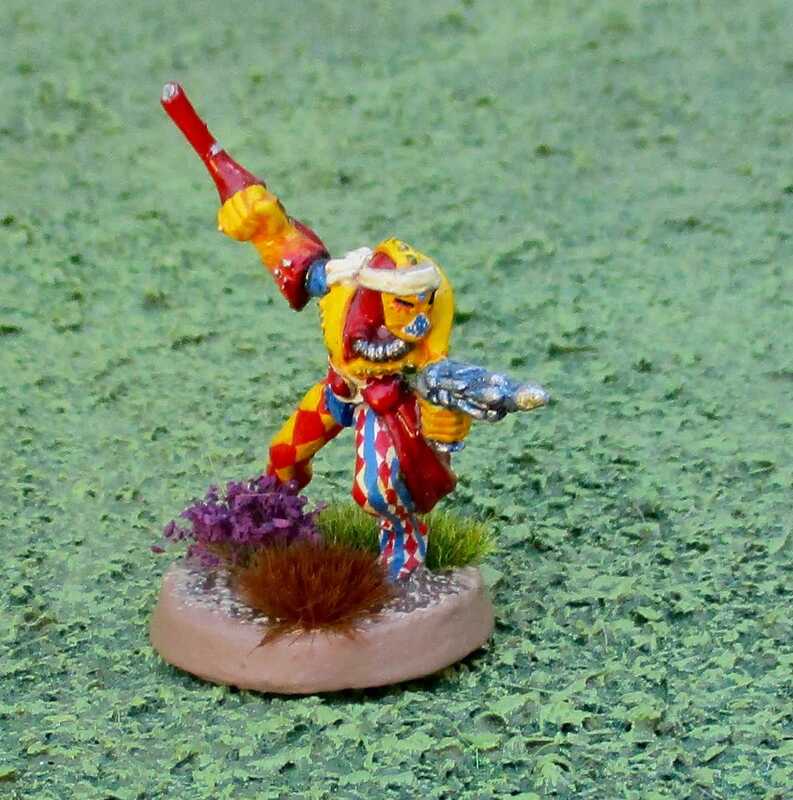 Originally they were originally picked up to be used as encounters in Rogue Trader or Only War, but were later expanded so they could also be used as a Kill Team in Shadow War: Armageddon, and even more recently Kill Team. The entire force so far... All of the figures here are older metal models from Games Workshop. 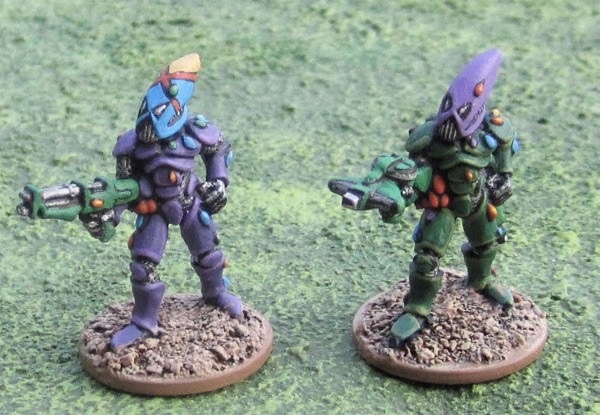 I do have a Tau Devilfish Transport I picked up off eBay to assemble and paint some day - perfect for these guys to fly in on! 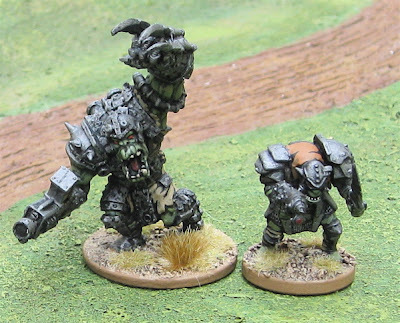 The first two of a horde of Mantic Games "Marauders" I'd started, but have since traded them to The Boy (who wants to play 40K Space Orks) for some old plastic Space Marines he bought off a friend (who had found them at a garage sale super cheap...). Here are two more of the Cobalt-1 figures I thought I'd use for Rogue Trader.